Experience spirit-inspired highlights of the first night with Pastor Chris at the O2 Arena. From spoken words to choir renditions, dance presentations and praise fiestas, the excellence and manifold wonders of God were expressed through every single ministration on the first day of the conference. The second session of the watershed event, the Higher Life Conference with Pastor Chris in the United Kingdom, had thousands soaking in the glorious manifest presence of God for their transformation. Memories of the previous night's experience stoked the embers of our faith in anticipation for much more at a program declared by the man of God, Reverend (Dr.) Chris Oyakhilome, to be the beginning of a new journey of success! At the opening of the conference, the highly esteemed CEC Member and Director of Church Ministry, Reverend Tom Amenkhienan, charged the crowd to reach out for God's Word like a man with only one chance at "a diamond suspended over an ocean". With such a vivid analogy, every spiritual antenna was raised to pick God's fine signals of blessings and His glorious impartations of grace. Words fail to describe the moments the man of God, Pastor Chris, began to unveil God's Word to the congregation. "Living the higher life is living the Word; you cease from your struggles," Pastor Chris said to the delegation from several European nations. The man of God further said, "[God] is your resting place; no more struggles!" The second session of the Higher Life Conference with Pastor Chris in the United Kingdom was a manifestation of Heaven on earth, a revelation of God's truths to bring many to the place of sonship and inheritance in Him. Prior to the man of God's entrance into the auditorium, heartfelt worship was offered to the Lord under the leading of LoveWorld artistes. The award-winning duo, PeeYuu and Sophiya, along with inspiring vocalists Ada and Jahdiel, helped thousands at the O2 Arena to see God's face in their hearts and embrace His glory. God's power enveloped the arena as the people sang along joyously. It was a higher experience of God's love in an atmosphere of praise. 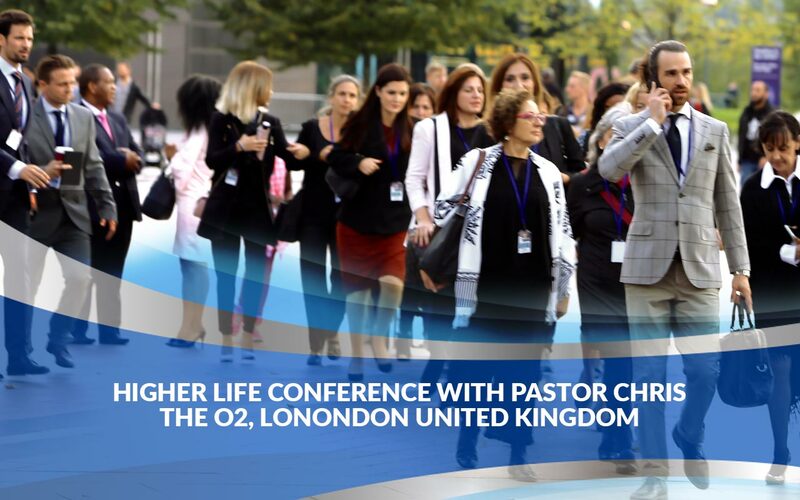 The second session of the Higher Life Conference with Pastor Chris in the United Kingdom was even more glorious than the first, affording the brethren several opportunities to offer up incense to God in worship. Through sessions led by the award-winning music minister, Sinach, and the man of God, Pastor Chris, himself, the atmosphere was charged with godly reverence. Shouts of 'Hallelujah' rang through the O2 Arena as soon as the BLW President, Reverend (Dr.) Chris Oyakhilome, took the microphone with a triumphant shout of 'Praise the Lord'! "Did you ever hear that Saul was excited to go to the house of God?" Pastor Chris asked the congregation at the O2 Arena as he emphasized the importance of loving the person of the Holy Spirit, using a comparison between King David and King Saul. "I was glad when they said unto me, Let us go into the house of the Lord," David — a man who was a success in God's eyes — boldly said. The final session of the Higher Life Conference with Pastor Chris commenced a few hours ago at the O2 Arena with thousands assembling with heightened expectations for transcendent blessings through the revelation of God's Word. Times of deep worship and praise at the kick-off of the meeting were indicative of the glory in the past sessions of this timely event. Extraordinary music ministers from the BLW Nation, Sinach, UR Flames, Israel Strong, CSO and more have taken the stage to guide the congregation in songs of thanksgiving and faith declarations. Being the final day of the 3-day Higher Life Conference with Pastor Chris, every ministration reflected the celebration of a new level of operation in God's grace for everyone in attendance and, indeed, the body of Christ in the United Kingdom. With each song and dance, the people's expectations increased, climaxing at the arrival of the BLW President, Reverend (Dr.) Chris Oyakhilome, for a final night in God's Word and the miraculous.